A good friend of mine has a sweet tooth that could give me a run for my moneyâ€”so when she insisted we take a work break to pop over to DÅŒ, what I thought to be a cookie shopâ€”it was a no brainer. Unlike Jenny, I hadnâ€™t done my researchâ€”so as we rounded the corner to try the latest and greatest of sugar highs, I squealed with excitement when she mentioned that it wasnâ€™t cookies, but raw cookie dough that weâ€™d be indulging in. Yes, you read that correctly. At this point youâ€™re probably wondering about the health hazards of downing an 8oz. 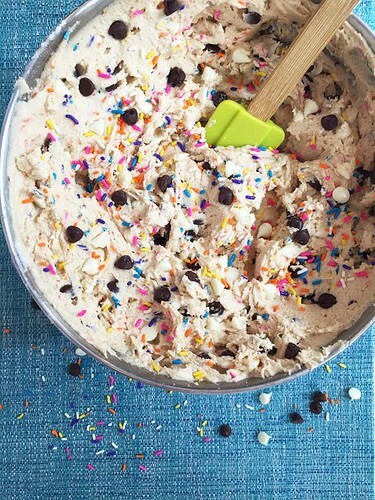 container of raw cookie dough, but fear notâ€”all DÅŒ recipes utilize a pasteurized egg substitute, which means there is zero chance of salmonella and every chance of overjoyed taste buds. DÅŒ, pronounced dough, is the delightfully gooey masterpiece of Midwesterner-turned-New Yorker, Kristen Tomlan. Since an early age Kristen spent endless hours in the kitchen watching her mom prepare meals for her family which led to her taking up the role as her householdâ€™s residential baker. 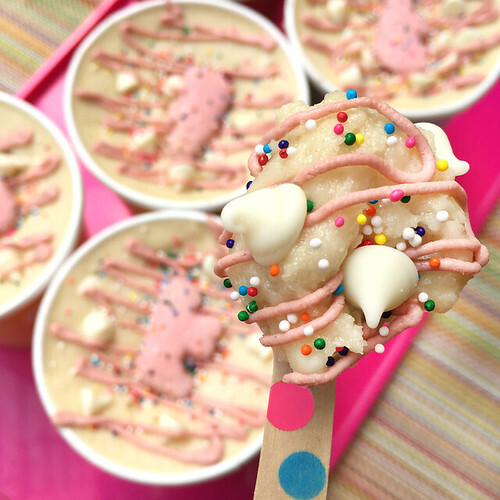 Over the years Kristen honed in on her love of cookies and all things raw cookie dough. 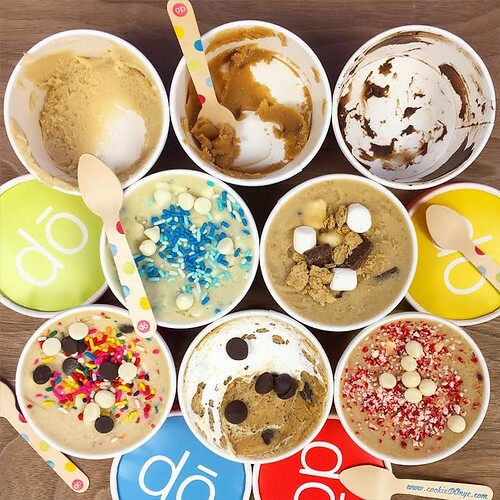 It wasnâ€™t until a girlâ€™s weekend in Philly, however, that she stumbled upon the serious question of why there wasnâ€™t any edible raw cookie dough on the marketâ€”and from there, DÅŒ was born. Shortly after she opened her bakery, she was rolling in doughy success and realized that the demand for raw dough was more than she had imagined so she quit her job as a brand strategy consultant to pursue her passion in bringing the city the best dough youâ€™ve ever eaten. Available in regular and gluten free options in any size for special events, and 8 or 16 oz. containers for on-the-goâ€”DÅŒ is the treat youâ€™ve been dreaming of and simply didnâ€™t know exists. So be sure to head over to their HQ on the East Side or click over to their website to place an order. And for all you non-New Yorkers, be thankful thatÂ DÅŒ ships to 48 states nationwide. *Side note: Since DÅŒ doesnâ€™t have regular store front hours (they try their best to be closed on Sundays), be sure to head over to Dylanâ€™s Candy Bar to get your fix! Rebecca Norris is a NoVA native who moved to New York to pursue her dreams of working in the magazine industry. With a background in health, beauty, fashion and food, her editorial prowess will keep you up to date with the latest must-try’s. Be sure to check out her personal blog at rebeccanorris318.wordpress.com.